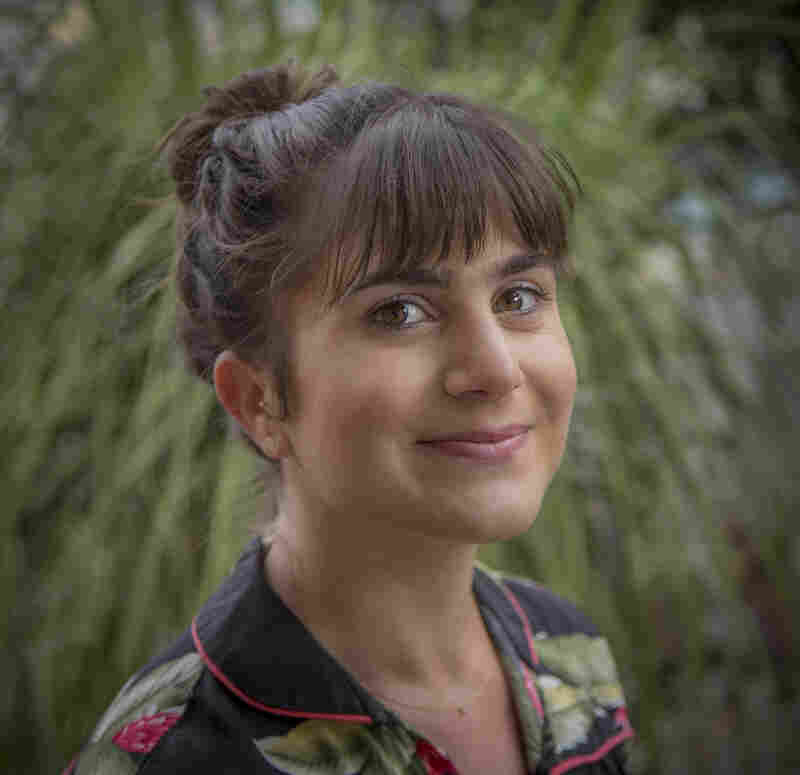 Taboos About Female Body's Messy Bits Explored in 'Gross Anatomy' : Shots - Health News Author Mara Altman got tired of hiding her hairy, sweaty self from the world, and set out to reframe the shame in her latest book of essays — part memoir, part scientific exploration, part manifesto. 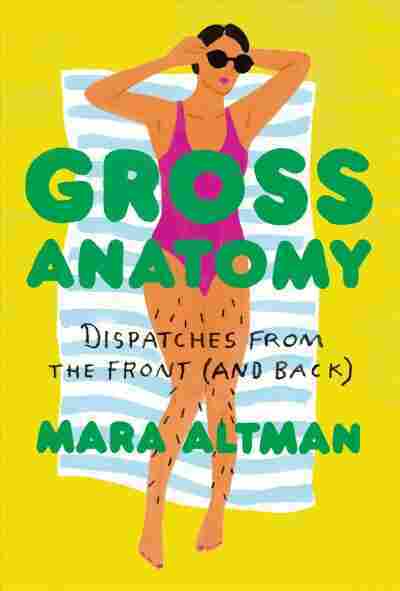 Altman's latest book, Gross Anatomy: Dispatches from the Front (And Back), is a personal, darkly witty investigation into the human body — how we think about it and how it works. In a mix of personal anecdotes, science and cultural reporting and interviews, Altman explores pressing questions like, is PMS real? How come some people sweat so much? And who decided women shouldn't have body hair, anyway? In an interview with NPR's Ailsa Chang, Altman says she began the book with her fuzzy lip story because she wanted to reframe the shame she and the rest of us often feel about our physical selves — and lighten the taboo. She decided to face the facts — starting with a confession to her now-husband, Dave, that she does everything she can to rid herself of facial hair. "I needed him to know that he was marrying a woman with a goatee," she says with a laugh. "I just didn't want (1) to have him find out later and be upset, and (2) to just have to hide it anymore. I was just so tired." "You know, I wrote this book to kind of investigate why we feel the way we feel about our bodies," says Mara Altman. "But a wonderful bonus was kind of realizing that we all have such a big variation." Her husband's response when Altman told him? "It's just hair!" She says he couldn't have cared less. [Women in] the United States in the early 1900s — they were fine being hairy. But then ... advertisers came on strong in the 1930s. They said that having armpit hair was dirty and gross; being clean-shaven was respectable, feminine. And then you also look at another kind of theory that we are all so afraid of our mortality; that we cover up anything that kind of hints at us being beasts, or animals. We put on perfumes, we cover up our holes — anything that excretes or is moist we don't want anything to do with. I still had the experiences at school where I didn't feel like I totally fit in. I was trying so hard to be natural, to be authentic like my parents said. But you still have the friends on the schoolyard who are like, 'Ah, she's hairy — gross!' ... I was in junior high and I was in PE class just getting ready to play dodgeball or something. And a girl pointed at my legs and said, 'Ew, gross, you're hairy!' And I just felt totally seen and ashamed and wanted nothing more than to rip out every single hair on my body. And yet that went against everything in our household about being natural. And then I had to confront my mom about it, and finally ask her if I could shave. She said that when we say that PMS made us do something, that we're using it as a scapegoat — and kind of discount it. And she also said that hormones don't create moods, but they can exacerbate moods. [Those feelings are] very legitimate; we should pay attention to them. Every time we say that PMS made us do it a misogynist gets his wings! It feeds into this idea that we're angry; that we don't know what we're doing. But really — like a woman who just feels really strong feelings and in another society would be extremely respected. The sweat researcher that I talked to said that if we were overheating and we couldn't sweat, we'd basically die in, like, 20 to 30 minutes. So when I see my own sweat stains now on my pits, which is probably daily, I try to appreciate that that's where we come from. That's how we're human. And I think that researching or learning about our bodies can also lessen the shame around it. You know, I wrote this book to kind of investigate why we feel the way we feel about our bodies. But a wonderful bonus was kind of realizing that we all have such a big variation. ... I was like, 'Oh my gosh! All these people. So many various sizes [and] shapes don't fit into any of the beauty standards we typically talk about or see. There are rolls! There's cottage cheese! There are hairy moles!' ... And they're walking around indulging in life. And you're like, OK, you know what? We're just lucky we have bodies. That we get to do all this cool stuff in our bodies. Alyssa Edes and Renita Jablonksi produced and edited this interview for broadcast. Alyssa Edes adapted it for the Web.